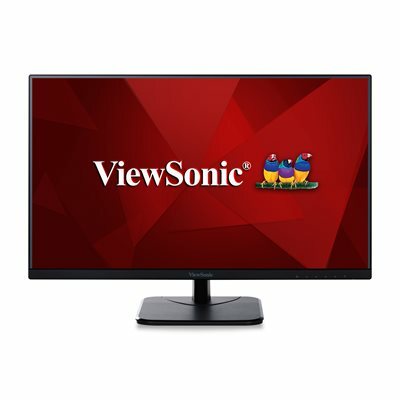 With future-proof connectivity, the ViewSonic VA2256-mhd is a productivity-boosting monitor perfect for business professionals. Designed with SuperClear IPS panel technology for wide-angle viewing and incredibly vivid colors, this monitor also features a 3-sided frameless design for a seamless viewing experience in multi-monitor setups. Extensive connectivity options include VGA, HDMI, and DisplayPort so that you can connect to a variety of HD and analog devices - today and tomorrow. In addition, Flicker-Free technology and a Blue Light Filter help to minimize eye strain from extended viewing periods. This monitor is a solid long-term investment for enterprise and home applications. dimensions 11.7" x 19.3" x 1.9"